Why should patients get access to their records and understanding too? 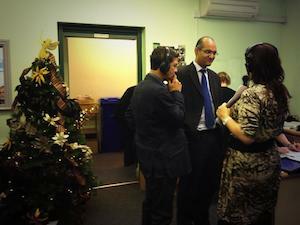 Dr Hannan got interviewed by Sam Walker from BBC Radio Manchester on 9th December 2013 at the Brooke Surgery in Hyde. They had spent the morning in the surgery interviewing different people to show what the surgery is like and some of the challenges faced by staff, patients and the clinicians as they try to deliver high quality services under very challenging circumstances. Dr Hannan was asked a variety of questions including why patients would want access to their records, will they understand what they read or will they become confused by it, would they even be allowed to look at their records and how could it help them and their loved ones. Haughton Thornley Medical Centres has been enabling patients to access their records since 2006 and has accrued a great deal of expertise along the way on how to do it, what works and how it should be done. It has also learned a lot about some of the challenges that we are facing and how to meet those challenges, Listen to the radio item below and see what you think. We have also provided links to specific issues that were raised in the radio item for you to learn more. You can learn more about what Dr Hannan is doing by following him on @amirhannan via twitter. 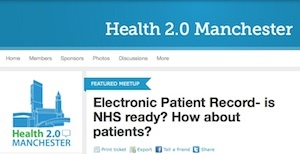 He will be doing a talk with some patients of his this Thursday at 6:30pm by Health 2.0 Manchester at the Tech Hub. There will be a live stream of the event for those people who are unable to attend. Click here to learn more. Click here to see a list of abbreviations in the records that patients have come across to help you decipher them. 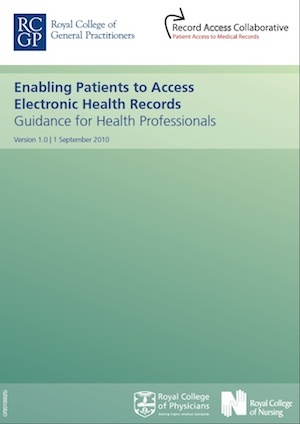 Click below to see the definitive guidance for Health Professionals on enabling patients to access electronic health records showing what rights patients have but also what responsibilities clinicians have including what the law has to say about what we can and cannot do. It includes simple tips and guidance based on the experience of 3 GPs, Dr Brian Fisher, Dr Richard Fitton and Dr Amir Hannan and then quality assured by the Royal College of General Practitioners as well as the Royal College of Physicians, Royal College of Nurses, the British Medical Association, the General Medical Council, Asthma UK, Diabetes UK and over 40 other patient groups.